Barcelona are reportedly prepared to offer Ousmane Dembele to Paris Saint-Germain in order to beat Real Madrid to the transfer of Kylian Mbappe. The France international is widely regarded as one of the best young players in the world after a fine breakthrough season at Monaco last year that earned him a big move to PSG. MORE: Neymar next club odds: Who is the favourite to sign PSG superstar? 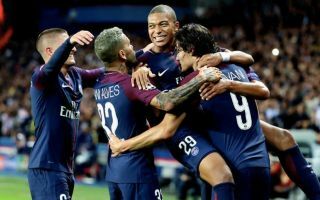 Mbappe has continued to shine at the Parc des Princes, and Don Balon report that Barcelona are after him as they look to bolster their attack this summer. Having lost Neymar to PSG last summer, it seems clear Barca could do with another top quality signing up front, with Dembele not really doing enough to impress in his first season. Kylian Mbappe to Barcelona or Real Madrid in the upcoming summer transfer window? The 21-year-old looked a serious talent at Borussia Dortmund but hasn’t really settled in with the style of play at the Nou Camp. Dembele could do well to revive his career at PSG, while Mbappe could be the ideal upgrade in Ernesto Valverde’s squad. Still, it remains to be seen if the French champions would let one of their star players go so quickly after signing him.